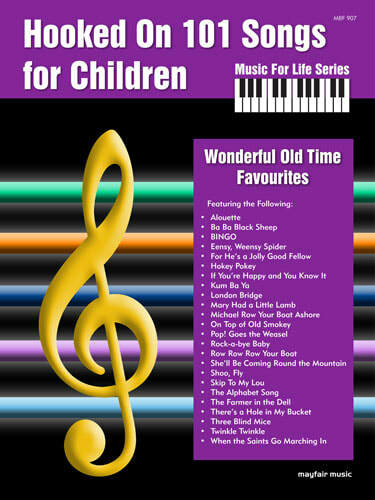 Hooked On 101 Songs for Children is a delightful collection of favourite children’s songs for the elementary pianist. This collection of piano/vocal/guitar arrangements are written in big note fashion for quick and easy reading. Students, teachers (private and classroom) and parents will love this collection. Titles include: Camptown Races; She’ll Be Comin’ Round the Mountain; Rock-a-bye Baby; This Old Man and many more familiar songs.